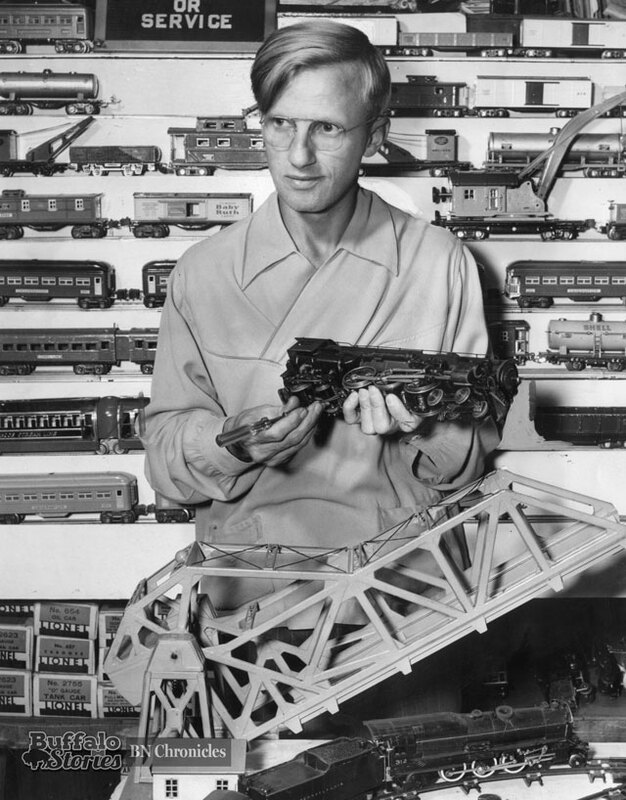 Model train collectors in South Buffalo, all of Western New York, and all around the country knew of “Spoonley the Train Man” from ads in The News, the Courier-Express, and dozens of national magazines that catered to the dreams of little boys and train enthusiasts of all ages. 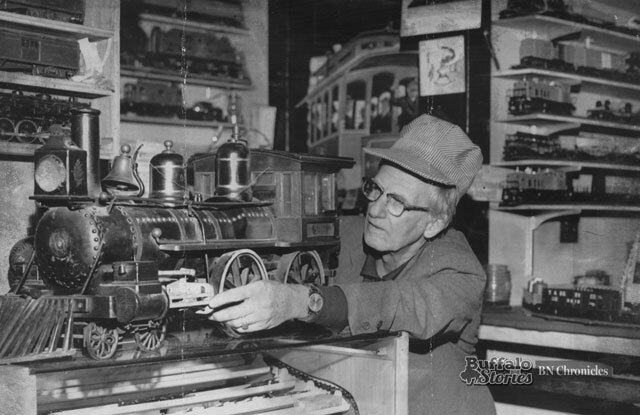 Chet Spoonley’s South Buffalo home on Choate Street, off South Park Avenue, doubled as his model train store – the basement shop was a place where young boys could see their H-O gauge dreams come true. 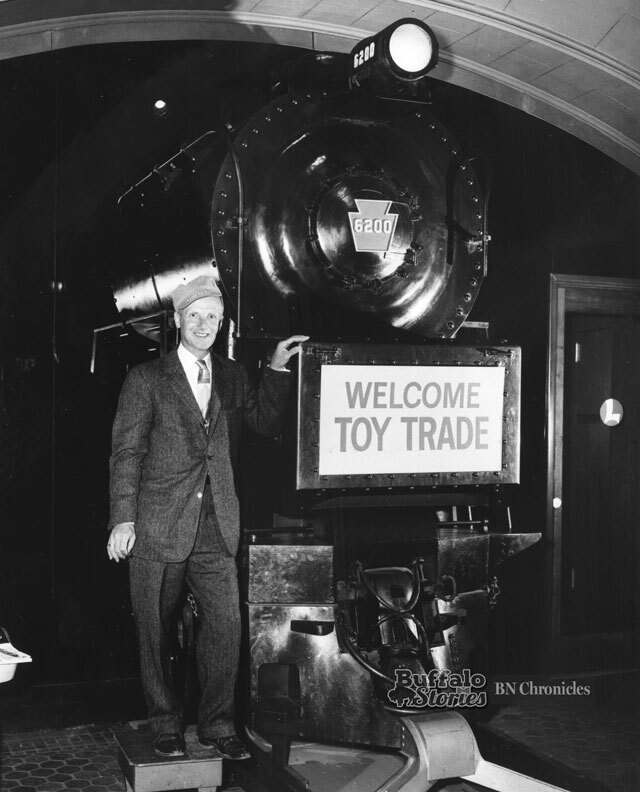 He started the train business in 1937, while still working as a pressman for three different newspapers: the Buffalo Times, the Buffalo Courier-Express and the Buffalo Evening News. 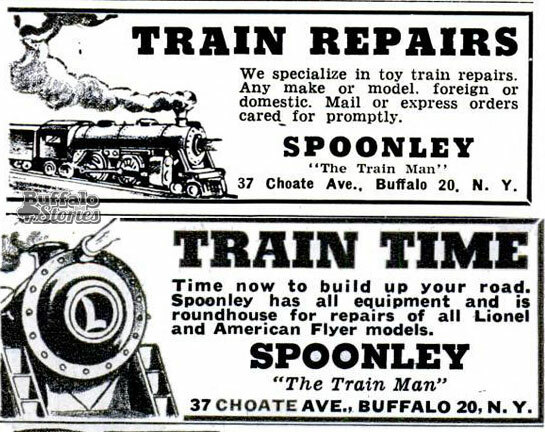 The Train Man’s attic was really Spoonley’s personal train museum — which also happened to sell and repair Lionel trains. Among the items on display — but not for sale — at Spoonley’s was a lantern that lit the parlor car of President Lincoln’s Baltimore & Ohio funeral train as it rolled through Buffalo in 1865. 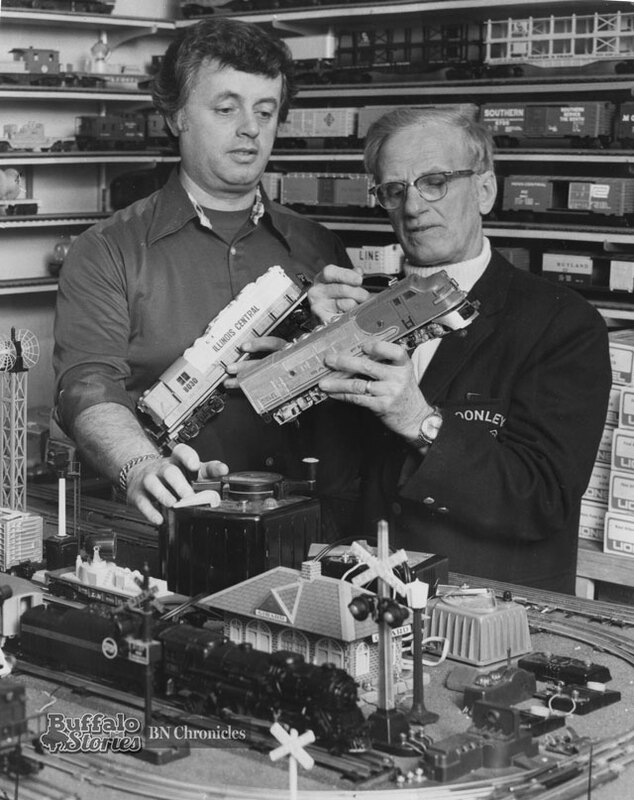 In 1974, Spoonley handed the model train business — by then moved to West Seneca – over to his son, Chester Jr.
Spoonley Sr. died in 1980. The 74-year-old suffered a heart attack while shoveling snow. Business lagged, and Spoonley the Train Man shop closed in October 1981, and Spoonley Jr. went missing three months later. His body was found in the Niagara River the following spring. 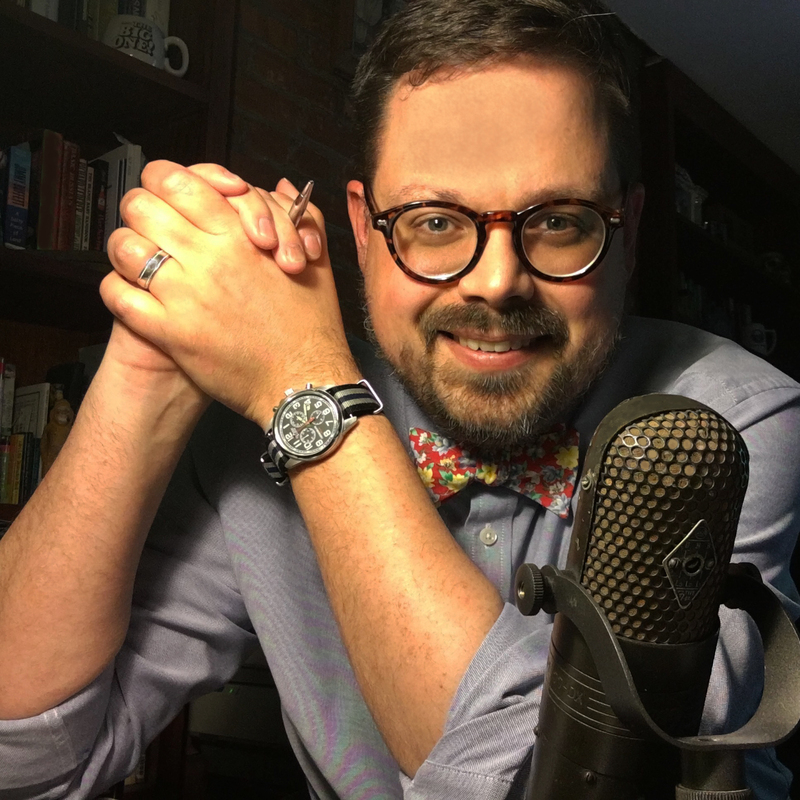 The story of Spoonley, his trains and the eventual dying off of a model train empire, was written in book form by radio newsman John Zach in 1988 and examined by News Reporter Anthony Violanti as the book was published.